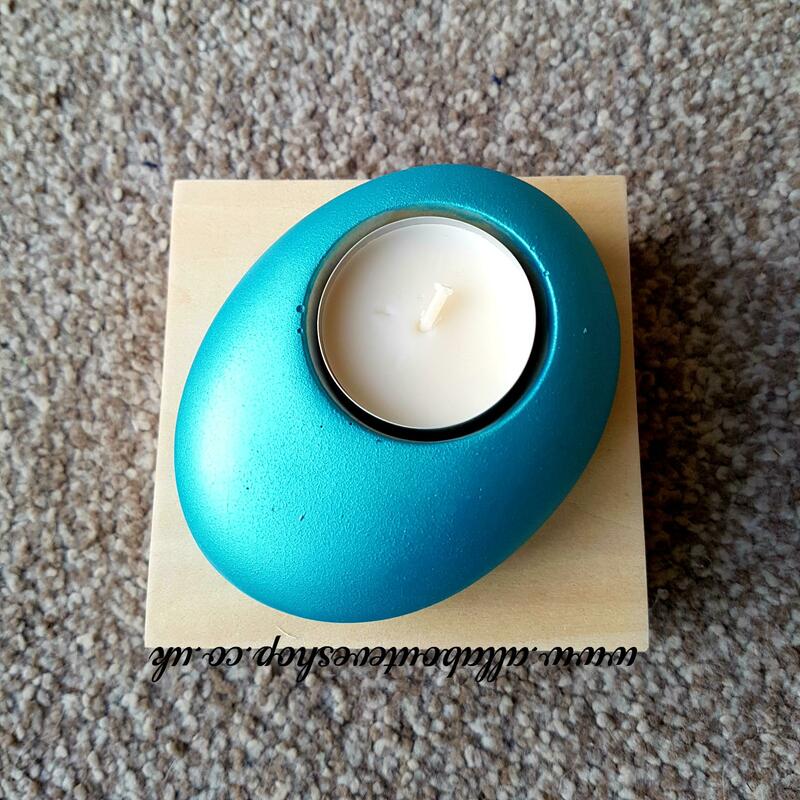 These wonderful Turquoise coloured tealights are made from concrete and are quite solid. They come painted on the outside. 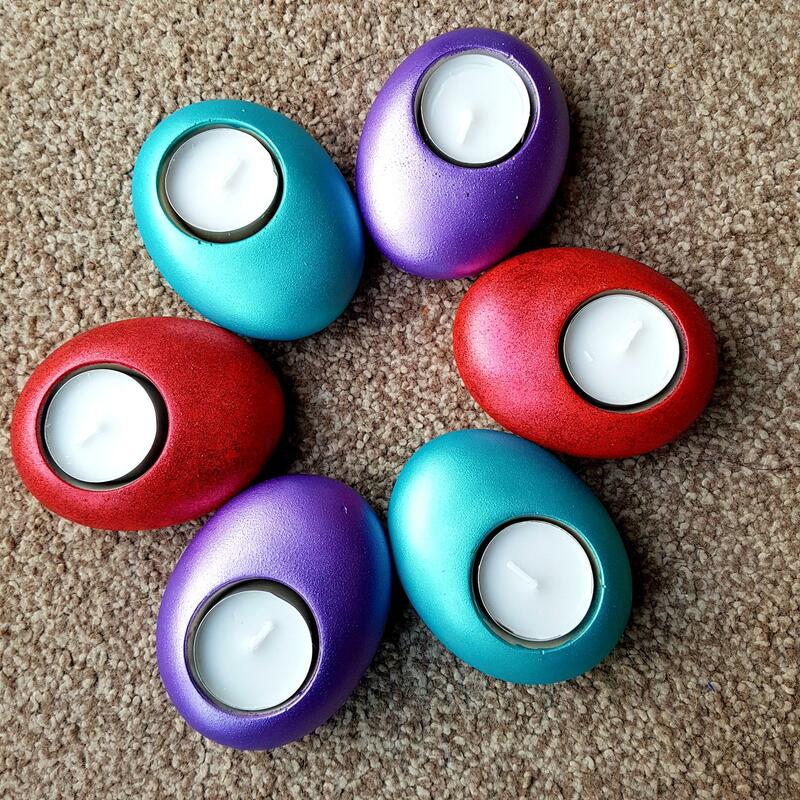 Included with your pebble will be a complimentary soy wax tealight. The pebbles will be a beautiful accessory to your home and can be used inside or outside. If you are outside in the evening burning citronella tealights will help keep the bugs away. 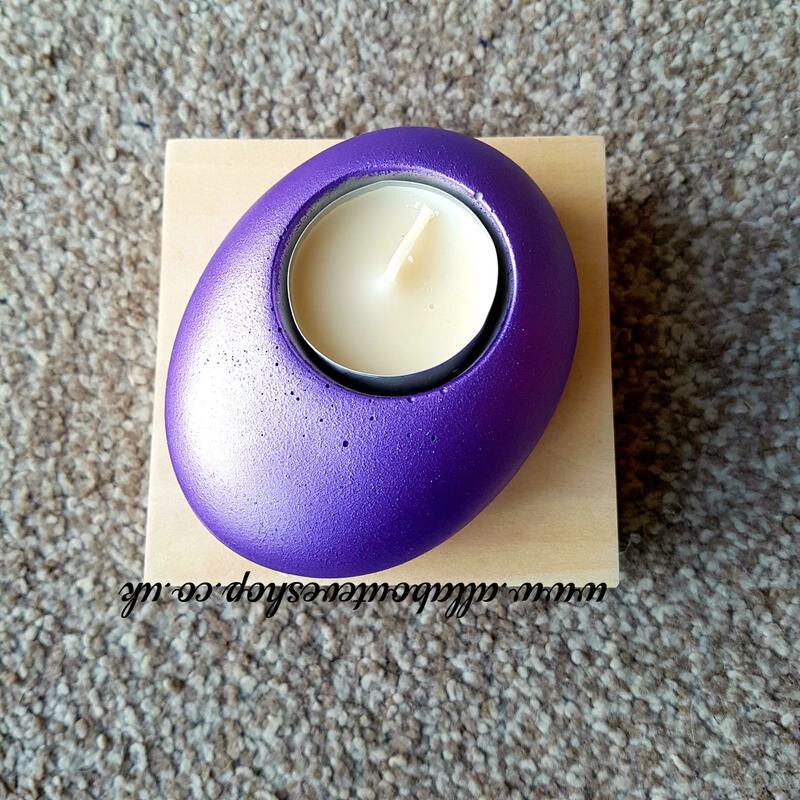 The tealights have little holes these are due to the organic nature of concrete and are caused by air bubbles it does not affect the tealight and adds to the rustic feel.